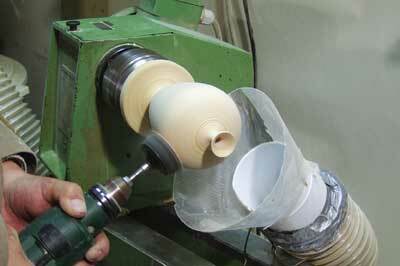 all of which give great results and allow a little more access for the hollowing procedure. 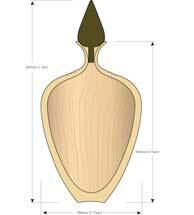 One alternative involves turning a spigot at the top of the form one third of the diameter, to a desired length to suit the design. 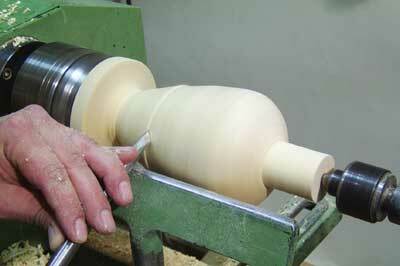 This is then parted off and the form hollowed through a hole slightly smaller than the diameter of the spigot. 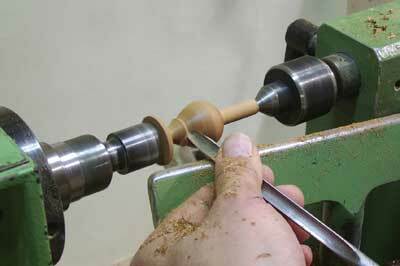 Once complete, it is glued back into a shoulder with the grain aligned. 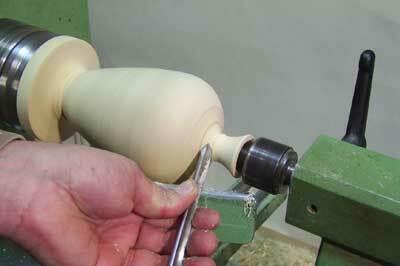 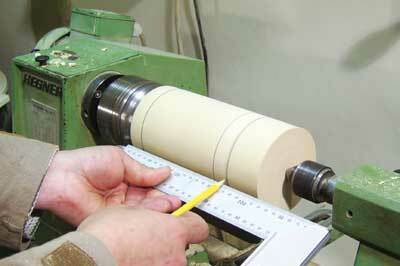 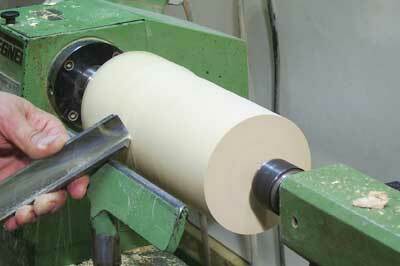 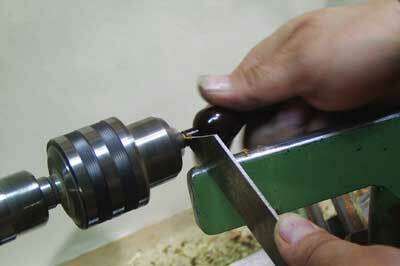 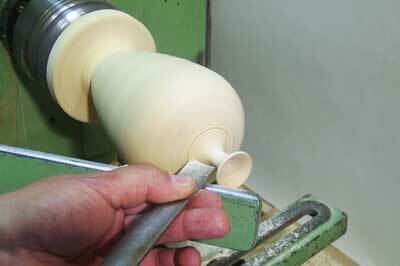 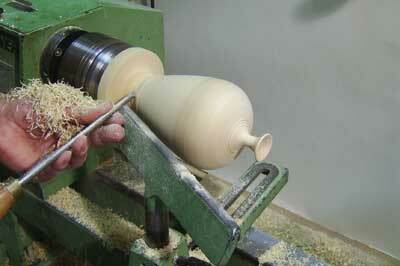 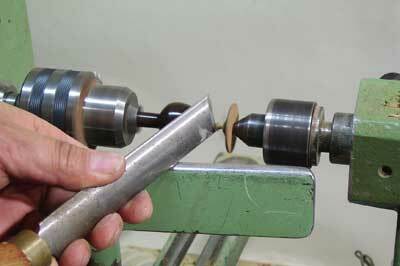 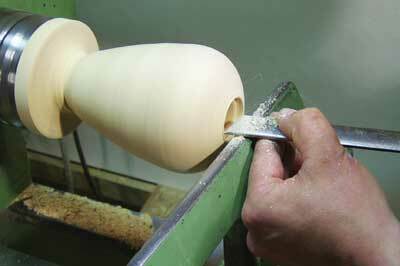 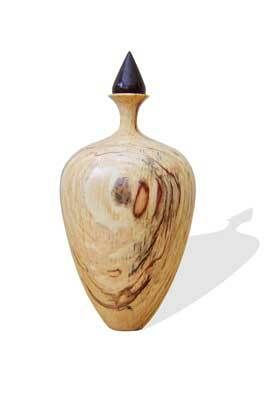 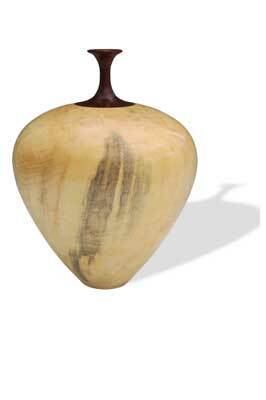 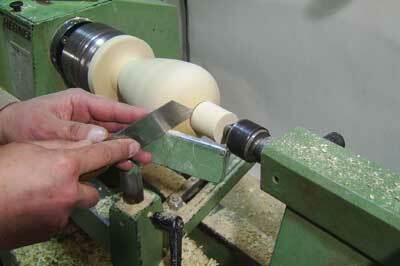 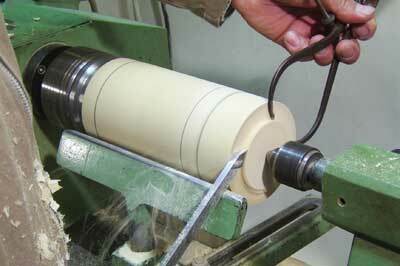 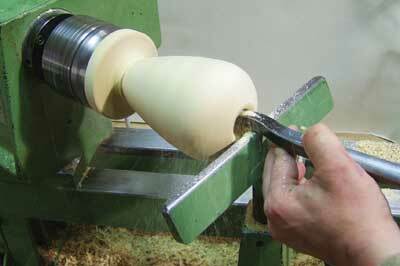 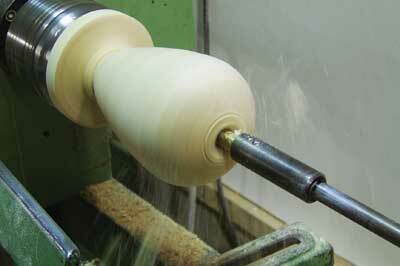 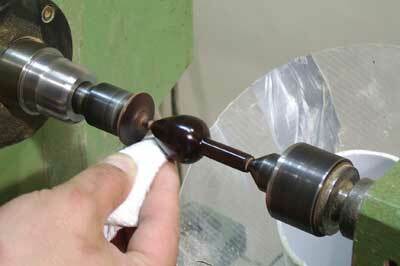 This spigot is then turned and blended to produce the neck of the hollow form. 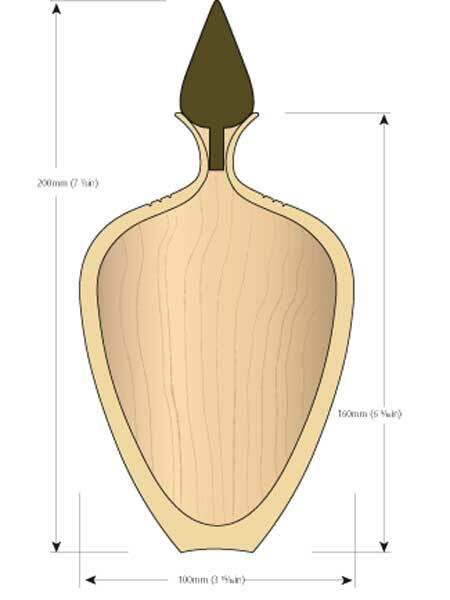 If you try this design be mindful that different woods and materials have different rates of expansion and contraction, so ensure to use well-seasoned wood. 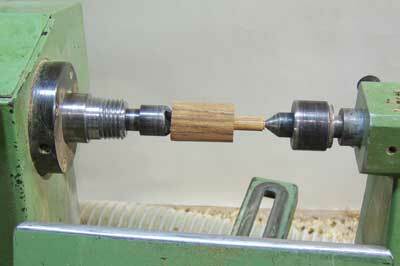 For this project take a piece of 100 x 100mm (4 x 4in) diameter x 200mm (8in) long, stock turned end-grain spalted beech, turned with the grain running parallel to the spindle axis, with a piece of anjan for the hollow form stopper.